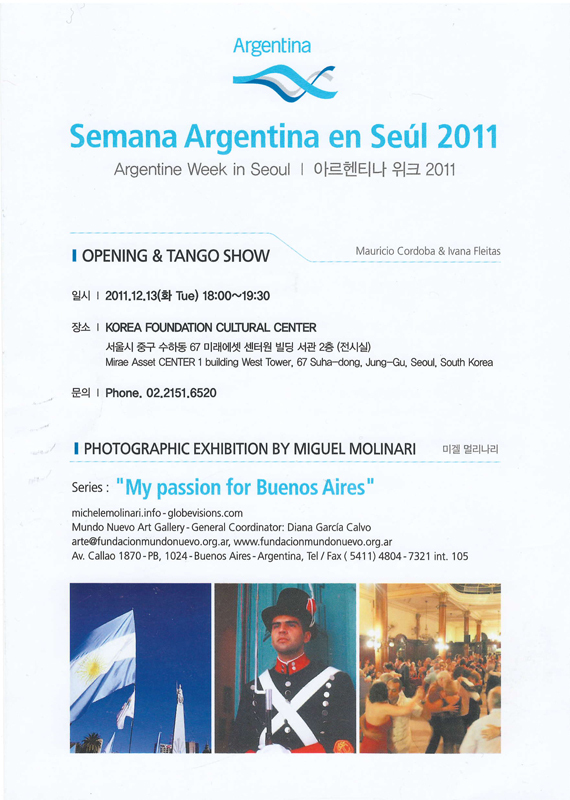 During the Argentine Week in Seoul 2011, Michele Molinari presents “My passion for Buenos Aires”, a visual overlook in 40 photographs. December 13 – 19, 2011. En el marco de la Semana Argentina en Seúl 2011, Michele Miguel Molinari presenta “Mi pasión por Buenos Aires”, recorrido visual en 40 fotografías. Del 13 al 19 diciembre 2011. Korea Foundation Cultural Center Mirae Asset Center 1, Building West Tower, 67 Suha-dong, Jung-Gu, Seoul, South Korea. 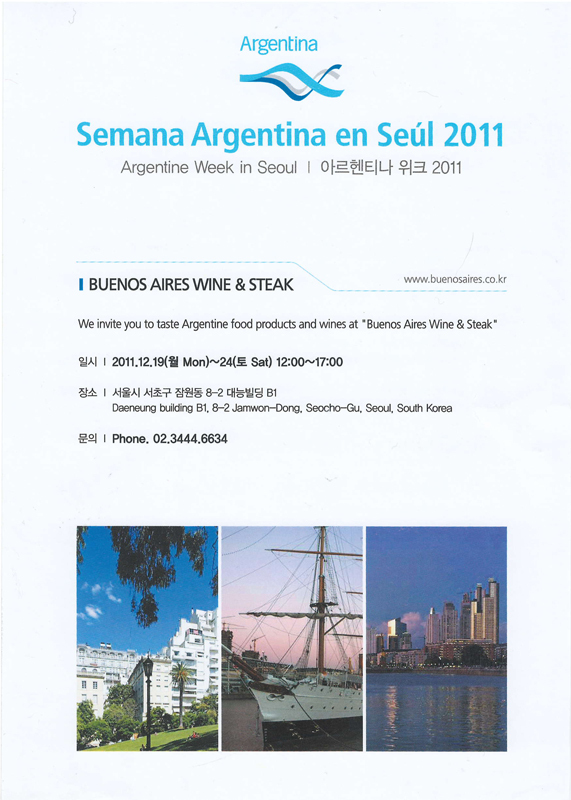 Tags: argentina, buenos aires, photography, seoul. Bookmark the permalink.